Dr. John J. Rossi is an internationally recognized leader in the field of molecular biology. 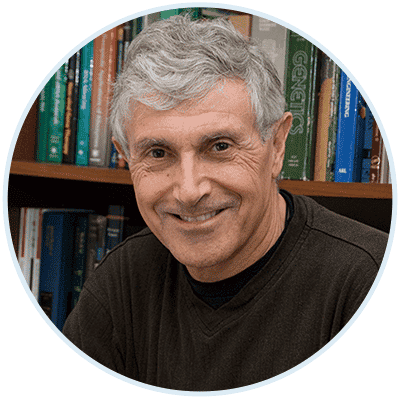 A pioneer in clinical research with nucleic acids and in the development of RNA-based therapies for human disease, Dr. Rossi was involved in the first human trials testing genetically altered stem cells for cancer therapy—work that has already led to the discovery of new treatments. Dr. Rossi received a BA in biology from the University of New Hampshire, and a PhD in microbial genetics from the University of Connecticut. Following a post-doctoral fellowship at Brown University Medical School, Dr. Rossi joined Southern California’s City of Hope (COH) Comprehensive Cancer Center as an assistant research scientist to apply his theoretical research to the search for new treatments for HIV, AIDS-related lymphoma, pancreatic cancer, and liver cancer. In 1992, he was named chairman of the Division of Biology and, in 1993, COH recognized his groundbreaking work at the molecular level in the battle against AIDS and other major diseases by naming him to its Gallery of Medical and Scientific Achievement. Dr. Rossi also received the American Association for Clinical Chemistry Outstanding Speaker Award in 1991, and was honored by the National Institute of Allergy and Infectious Diseases Division of AIDS with their Merit Award in 1992. For three years Dr. Rossi served as head of the department of gene therapy at Loma Linda University Medical Center, and currently holds an adjunct professorship at the University’s Department of Biochemistry and Microbiology. In addition to holding leadership positions at a range of esteemed educational and biomedical research organizations, Dr. Rossi serves as editor for a variety of gene therapy and biomedical publications including Human Gene Therapy, Silence, JBC, and BMC Biotechnology, as well as publishing more than 250 scientific papers including seminal discoveries regarding therapeutic applications of small, regulatory RNA in cancer and infectious diseases. Takahashi, M., X. Wu, M. Ho, P. Chomchan, JJ. Rossi, JC. Burnett, and J. Zhou. “High throughput sequencing analysis of RNA libraries reveals the influences of initial library and PCR methods on SELEX efficiency”. Sci Rep, 2016. 22(6):33697. doi: 10.1038/srep33697. Cui, Q., S. Yang, P. Ye, E. Tian, G. Sun, J. Zhou, G. Sun, X. Liu, C. Chen, K. Murai, C. Zhao, KT. Azizian, L. Yang, C. Warden, X. Wu, M. D’Apuzzo, C. Brown, B. Badie, L. Peng, AD. Riggs, JJ. Rossi, and Y. Shi. “Downregulation of TLX induces TET3 expression and inhibits glioblastoma stem cell self-renewal and tumorigenesis”. Na Commun., 2016. 3(7): 10637. doi: 10.1038/ncomms10637. van den Berg, FT, JJ. Rossi, P. Arbuthnot, MS. Weinberg. “Design of Effective Primary MicroRNA Mimics With Different Basal Stem Conformations”. Mol Ther Nucleic Acids, 2016. 12(5): e278. doi: 10.1038/mtna.2016.53. Bobbin, ML. and JJ. Rossi. “RNA Interference (RNAi)-Based Therapeutics: Delivering on the Promise?”. Annu Rev Pharmacol Toxicol, 2016. 56: p. 103-22. doi: 10.1146/annurev-pharmtox-010715-103633. Jung, U., M. Takahashi, JJ. Rossi, and JC Burnett. “LGIT In Vitro Latency Model in Primary and T Cell Lines to Test HIV-1 Reactivation Compounds”. Methods Mol Biol., 2016. 1354: p. 255-64. doi: 10.1007/978-1-4939-3046-3_17. Petz, LD., JC. Burnett, H. Li, S. Li, R. Tonai, M. Bakalinskaya, EJ. Shpall, S. Armitage, J. Kurtzberg, DM Regan, P. Clark, S. Querol, JA. Gutman, SR. Spellman, L. Gragert, and JJ. Rossi. “Progress toward curing HIV infection with hematopoietic cell transplantation”. Stem Cells Cloning, 2015. 28(8): p. 109-16. doi: 10.2147/SCCAA.S56050. Bobbin, ML., JC. Burnett, and JJ. Rossi. “RNA interference approaches for treatment of HIV-1 infection”. Genome Med, 2015. 7(1):50. doi: 10.1186/s13073-015-0174-y. Li, Y., X. Wu, H. Gao, JM. Jin, AX. Li, YS. Kim, SK. Pal, RA. Nelson, CM. Lau, C. Guo, B. Mu, J. Wang, F. Wang, J. Wang, Y. Zhao, W. Chen, JJ. Rossi, LM. Weiss, and H. Wu. “Piwi-Interacting RNAs (piRNAs) Are Dysregulated in Renal Cell Carcinoma and Associated with Tumor Metastasis and Cancer-Specific Survival”. Mol Med, 2015. 13(21): p. 381-8. doi: 10.2119/molmed.2014.00203. Zhou, J., JJ. Rossi, and KT. Shum. “Methods for assembling B-cell lymphoma specific and internalizing aptamer-siRNA nanoparticles via the sticky bridge”. Methods Mol Biol., 2015. 1297: p. 169-85. doi: 10.1007/978-1-4939-2562-9_12. Finlay, J., CM. Roberts, G. Lowe, J. Loeza, JJ. Rossi, and CA. Glackin. “RNA-based TWIST1 inhibition via dendrimer complex to reduce breast cancer cell metastasis”. Biomed Res Int., 2015. 2015:382745. doi: 10.1155/2015/382745. Takahashi, M., JC. Burnett, and JJ. Rossi. “Aptamer-siRNA chimeras for HIV”. Adv Exp Med Biol., 2015. 848: p. 211-34. doi: 10.1007/978-1-4939-2432-5_11. Zhou, J., S. Satheesan, H. Li, MS. Weinberg, KV. Morris, JC. Burnett, and JJ. Rossi. “Cell-specific RNA aptamer against human CCR5 specifically targets HIV-1 susceptible cells and inhibits HIV-1 infectivity”. Chem Biol., 2015. 22(3): p. 379-90. doi: 10.1016/j.chembiol.2015.01.005. Daniels, SM. L. Sinck, NJ. Ward, CE. Melendez-Peña, RJ. Scarborough, I. Azar, E. Rance, A. Daher, KM. Pang, JJ. Rossi, and A. Gatignol. “HIV-1 RRE RNA acts as an RNA silencing suppressor by competing with TRBP-bound siRNAs”. RNA Biol., 2015. 12(2): p. 123-35. doi: 10.1080/15476286.2015.1014759.